Guyspeak: Do Men Really Like It When You Wear Revealing Clothes? While we know (or assume) that men are visual creatures, do they actually like it when a woman bares too much skin? We asked some guys we spotted at a fashion show. 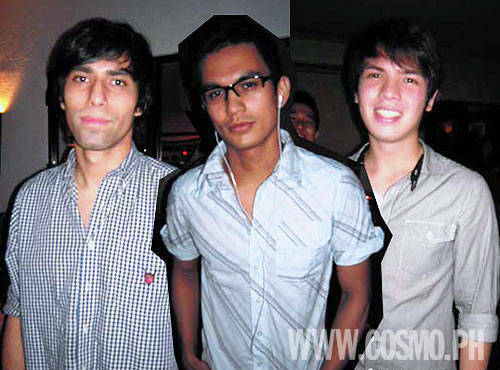 It's not just the women who attend fashion shows; Cosmo spotted some cute guys, too, at a fashion show for Jaciendera, an online-based clothing store, when it launched its July-August Collection in a sizzling fashion show at Fuel Bar, The Fort. While Jaciendera's trademark are floral dresses with sweetheart necklines, this collection is made up of quite the opposite elements--suede, skintight jersey, neon colors, sequins, and animal prints! When asked what the general theme or inspiration for this collection was, owner and Cosmo-Pond’s Intern winner Yen Pomida giggled and answered in a heartbeat, "Skimpy." And that's where we drew inspiration for our Guyspotting question for the night. Men being the visual creatures that they are, they really can’t help but be drawn to long bare legs, decolletage, and any part of your body that's exposed. But some men draw the line somewhere. So we asked the guys we spotted at a fashion show of "skimpy" clothing: Do you really like it when women wear revealing clothes? While most of the cute guys we picked answered in the affirmative, there were still a handful who said no. Check out the gallery to see them and find out what goes on in these boys’ minds. Don’t forget to tell us your top picks among the men we spotted when you comment below! Visit Jaciendera's Multiply site and check out their newest collection by clicking on this link!